We were recently invited to test a product from the range of leisure packs made by Bagail. 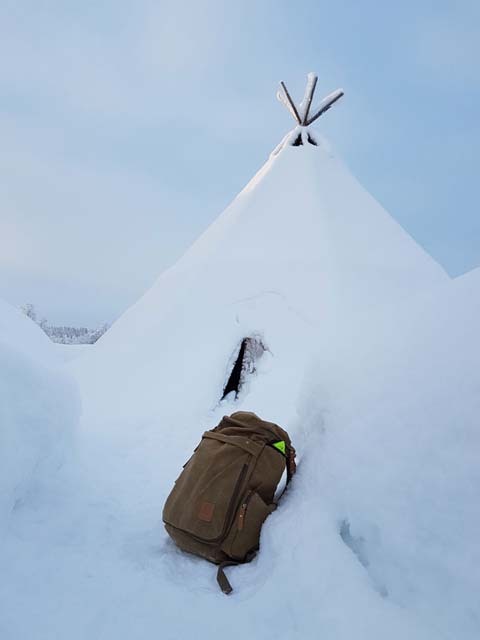 We chose the Retro Camping backpack and Sofia from the Nature Travels team has been putting it through its paces on a recent trip to the far north of Sweden. The Retro Camping backpack isn’t an outdoor backpack for carrying equipment for an outdoor experience – it’s more a casual backpack for everyday use. 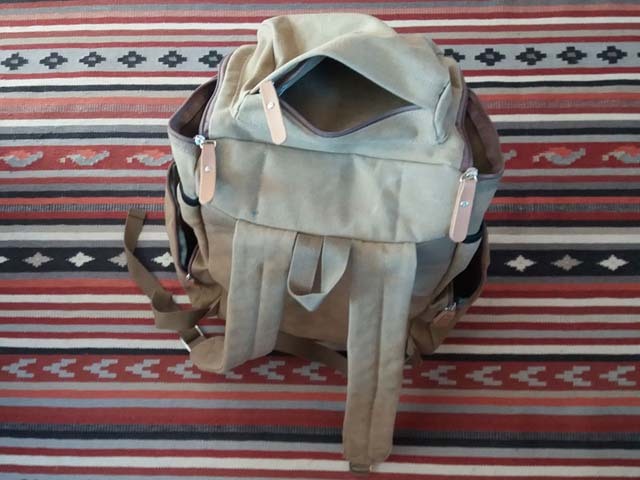 A backpack created for outdoor use would normally have a meshed back to keep your back from getting sweaty while being active and the zips would have storm flaps so water wouldn’t come inside the pack when it rains, etc. However, I must say, I love the Retro Camping as a casual pack and as a hand luggage pack when travelling. Over the last few weeks, I have been using the Retro Camping as a bag on my general errands to town and for transporting work documents, etc, back and forward to the office. 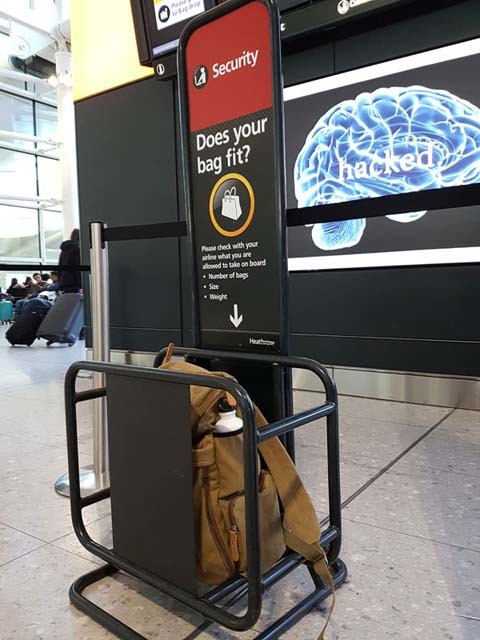 The Bagail fits nicely as hand luggage. Photo: Sofia Carter Nature Travels. 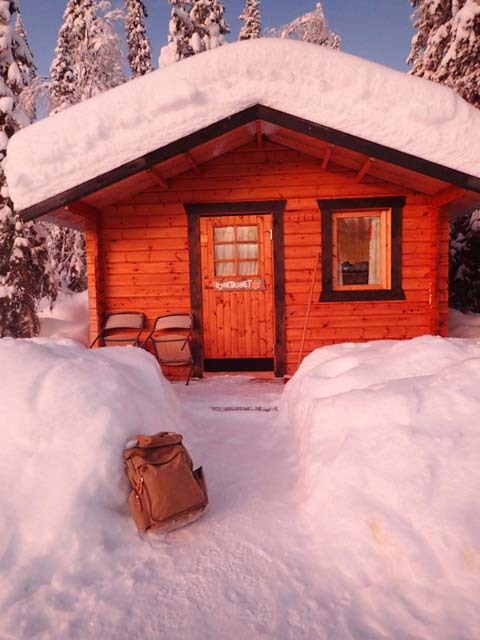 I also brought it as my hand luggage on my latest work trip to Swedish Lapland. 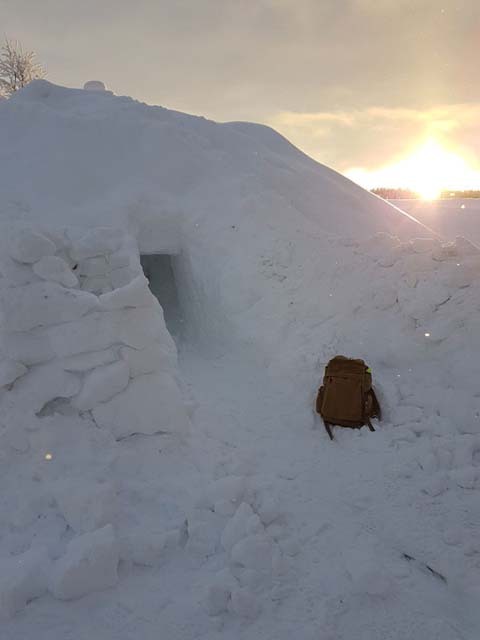 While in Swedish Lapland I took it along on an overnight dogsled tour, using it as my main luggage for all my personal equipment for that tour. The Retro Camping is bigger than you think and can easily be used as an overnight bag. Inside the large main compartment is a padded computer pocket, very useful when travelling with your laptop. However, what I like the best about it is that there are lots of outside pockets, which gives you easy access to your stuff without needing to dig around in the main compartment. The pack features one large main compartment, one large pocket in the lid, one large front pocket, two zipped side pockets and two side stuff pockets. All pockets have zips except the stuff pockets, which are meant for easily putting away your gloves, hats or a waterbottle. The stuff pocket is too small for a large waterbottle (1 litre), but 500ml fits OK. Plenty of storage! Photo: Nature Travels. The zips are of very good quality and don’t stick and you feel confident that your things are safely in the pockets with no chance of anything falling out. There are two features I miss with the pack. The first is a key hook, so you can securely put your keys in the main compartment without the need to dig around when you need to find them. I would also have liked to see a smaller inside, zipped pocket in the main pocket, where you could store things you want to keep secure such as passport, wallet, etc. 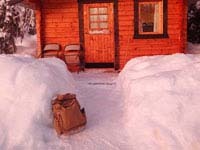 On my most recent trip to Swedish Lapland I used the Retro Camping pack as my hand luggage. In the top pocket I stored my wallet that I wanted easy access to. In the side pockets I had my glasses on the left and phone charger and headphones in the right pocket. In the big front pocket I had my travel papers with train and flight times, etc, including tickets and passport. In the main compartment I carried my small travel blanket, (to keep me warm in air-conditioned airports and planes!) 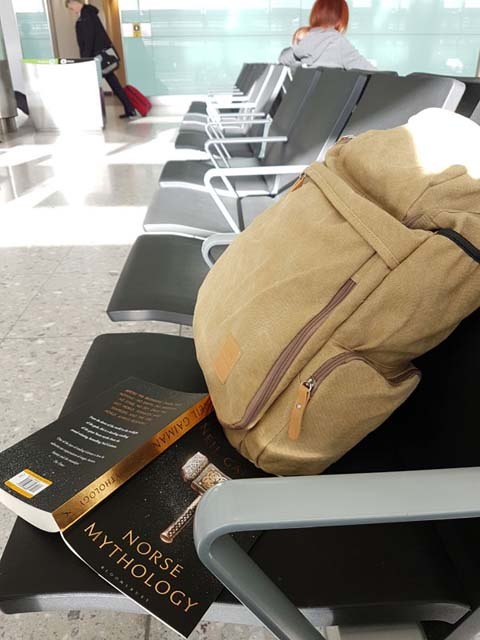 and my books and magazine and I must say that as hand luggage the Retro Camping pack performed excellently. 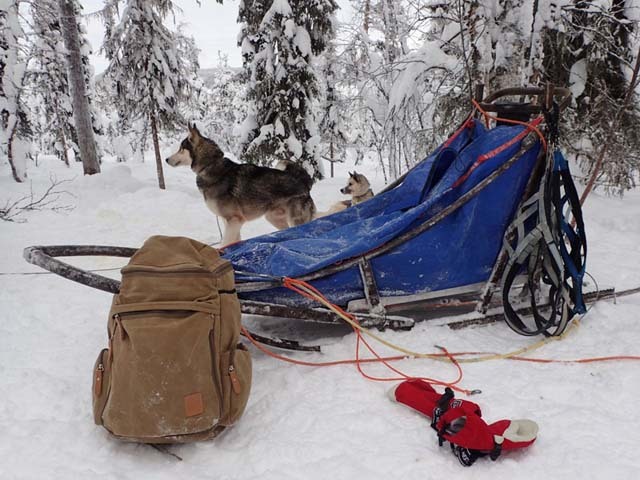 I also took it as my main luggage on an overnight dogsled tour and the canvas fabric does an excellent job of protecting the contents from the snow and cold. 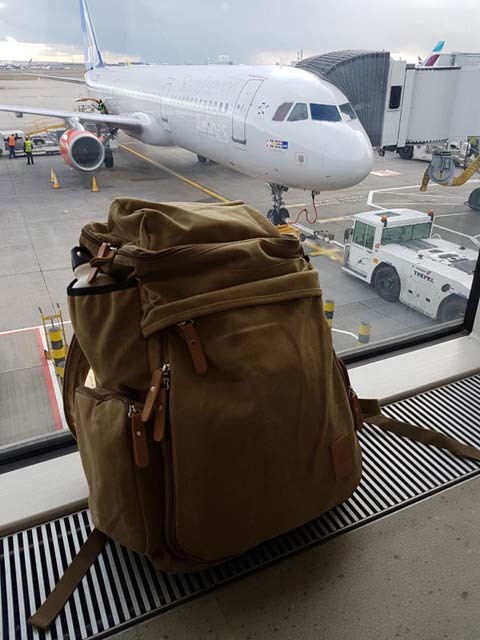 So to conclude, even if I won’t take it on long hikes or as my main luggage on an outdoor camping trip, it will be my companion on many small adventures and as my hand luggage when travelling the world! At a current price of under $50 USD, the pack seems to offer very good build quality and value.